“You’re a baller, Mom.” That’s what J.P. told me as a high compliment. For those who aren’t familiar with the term baller, my Little Leaguer defined it as, “You’re good at that.” Ian, my teen, elaborated that the term started in basketball then moved into other sports to mean, you are excellent and you play with style. 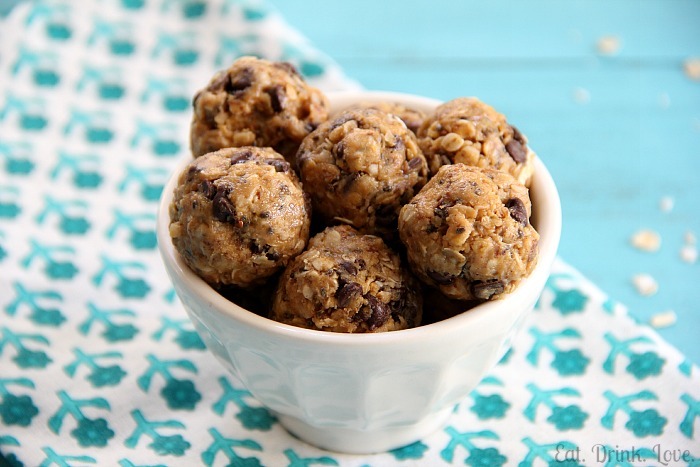 Being a baller in the throes of baseball season, enter 11 No-bake Energy Bites. We call them Energy Balls, of course. They are quick to make, nutrient dense, great for travel, and flexible enough to meet different dietary and taste preferences. For our first batch, we made these from eat. drink. love. For more new food ideas for spring, check out: Baked Tofu. What new foods are you enjoying? What are your favorite spring foods? Do you make no-bake treats? Are you a baller? This entry was posted in Food, Home, Lifestyle, Time and Place and tagged New Food Challenge, Recipe, Spring. Bookmark the permalink. ‘baller’ sounded a bit ‘strange’ at first till you explained.. These kids keep me “fresh” 😀 I’ll definitely send your Big Hugs onto my guys, john. Thanks! Happy weekend. I’m glad you explained what “baller” meant. For a minute there I thought your blog took weird turn. LOL, I hope you’re not too disappointed that it didn’t, John 😀 Happy weekend – made it! I’ll be okay. I suppose. 😊 Happy weekend to you too. My baby girl is coming in from NYC to celebrate her brother’s birthday. ☺ thanks, Angie. Yummy, they all sounded so good! No kidding, Vic. I’m hungry! I must check out the recipes. You’ve made my life so much easier with your fab food ideas. Of course I love your family stories and inspirational tid bits that make my heart sing – but I rarely enjoy my time in the kitchen. Anything I can make in advance and that travels well + is full of nutrition and not junk is exactly what I’m looking for. I also love tofu and am eager to take a look at the baked tofu. I know you’ll probably find me terribly boring but happy foods and spring equate to more fresh fruit and vegetables and normally in their naked format. Oh, yes. You don’t have to play nice all the time!